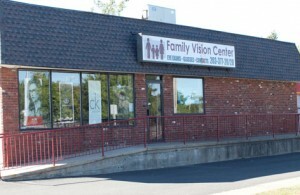 Family Vision Center is one of the oldest and largest family eye care practices in Connecticut. The first Family Vision Center office was opened in Bridgeport, Connecticut in 1964 by Dr. Michael Gorman. The success of the first Family Vision Center office led to the opening of yet another office in 1985 located in Stratford, Connecticut. Family Vision Centers full time Optometrists have over 50 years of experience. The doctors at Family Vision Centers specialize in a wide variety of services including: ocular pathology and diseases of the eye. For over 30 years, the owner of Family Vision Centers, Dr. Gorman has also served as the President of Connecticut Visual Health Center. The staff at Family Vision Centers is experienced in the eye care industry and is happy to help patients with any and all eye care needs. The Bridgeport, Connecticut Family Vision Center location has bilingual staff on hand for Spanish speaking patients. Both Family Vision Centers Connecticut locations have fully equipped exam rooms. The technology used by Family Vision Centers includes: Autorefractors, Autokeratometers, Auto Non-Contact Tonometers, Corneal Topographers and Pachometers. This advanced technology allows Family Vision Centers to perform comprehensive eye examinations, treat many eye diseases and provide numerous other eye care services. In addition to the exceptional services offered by Family Vision Centers, we offer a wide array of eyeglass frames. Having the only private optometric practice in the state of Connecticut with a full service laboratory on premises allows Family Vision Centers to make eyeglasses with a quick turnaround time. Patients coming to Family Vision Centers for contact lens fittings usually are able to leave that day with a trial pair. Patients can also purchase contact lenses at Family Vision Center offices or thru our online store. Seniors over 60 years old who become patients at Family Vision Centers always receive 10% discounts on Family Vision Center services and products. For patients who prefer inexpensive eyeglass frames, Family Vision Centers offers a budget collection. Annual supplies of contact lenses from Family Vision Centers are always purchased at 10% off. 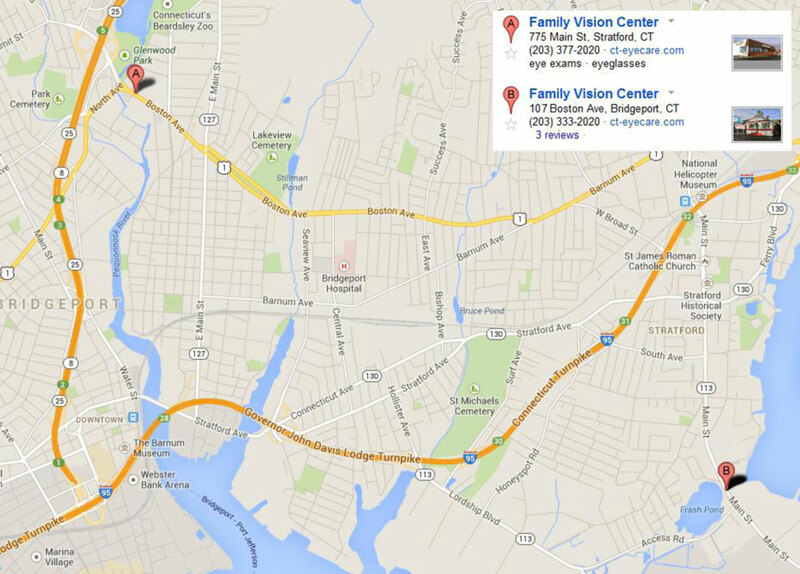 Family Vision Center is able to offer their high quality services from their two Connecticut locations in Stratford and Bridgeport. Being experienced and bilingual the staff at Family Vision Centers is able to provide services to patients with a variety of eye care needs.